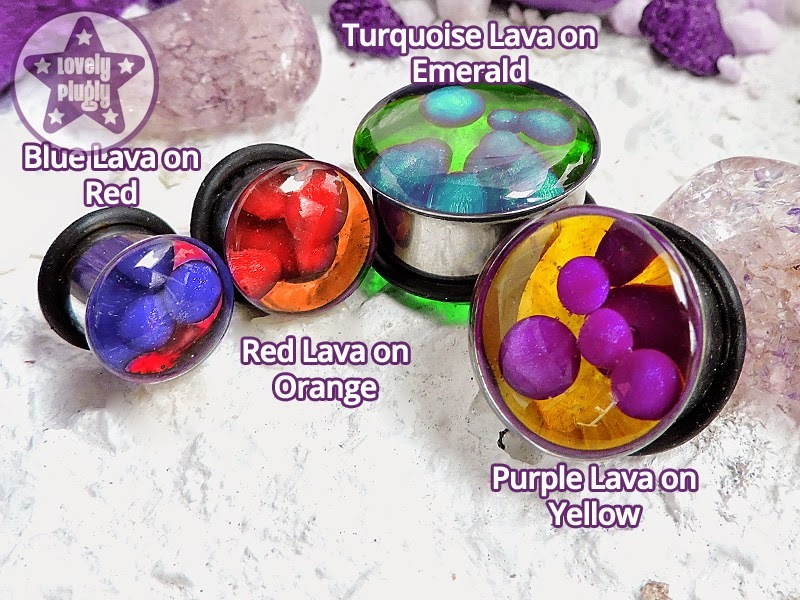 Hello there, have you met our new 1977 lava lamp style plugs yet? We've been playing around with various forms of these for a while, and the ones here are by far the favourites. Unfortunately, these ones don't have the moving blobs of lava (those particular ones had a shelf-life so were abandoned, shame) but they still look fantastically colourful and lava-lamp like. They look particularly wonderful when they have a bit of backlight, the translucent colour lights up, making the blobs of lava stand out all proud and out there.